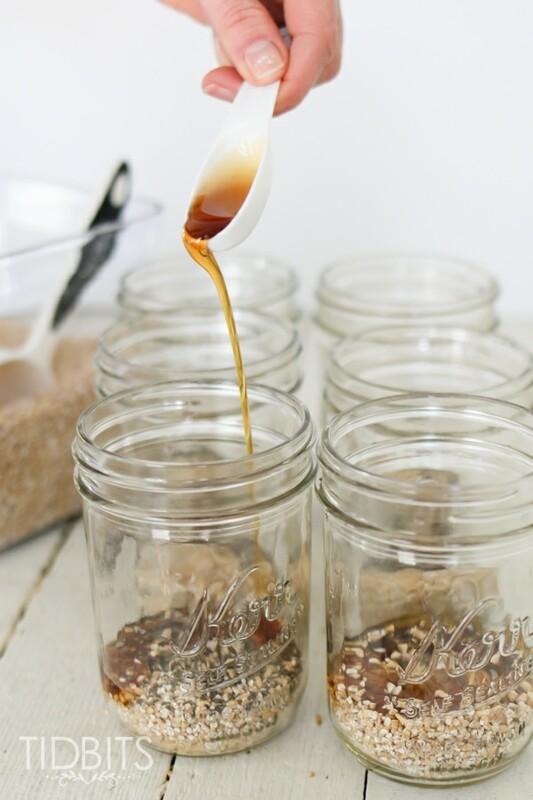 Single serving Mason jar steel cut oats: throw them in an electric pressure cooker while you are getting ready the next morning, and you’ll be able to enjoy those chewy and healthy oats on the fly. Send your family off on their day with a substantial and delicious breakfast. UPDATE 9/5/2016 After personally making this recipe over 50 times and having read the experience of others, I’ve made a couple changes to the recipe to include putting room temperature or hot water inside the jars, a longer cook time, a 10 minute natural release instead of a quick release, a slight change in water and oat amounts, and a caution to allow the oats to cool a bit before removing the lid. I also strongly encourage you to use water instead of milk as the cooking liquid inside the jars and to follow my measurements as written. To prevent jars from breaking, do not use cold jars straight from the fridge and be sure they are high tempered glass Mason jars like Ball or Kerr. Screw the lids on until fingertip tight (meaning to screw the lids down just until you meet resistance) to allow air to escape. Last thing (I promise) when I make these, I typically start the cooking right when I wake so that by the time my family is ready for breakfast, the oats have cooked and cooled inside the cooker and are ready to eat (about 45-60 minutes). If your pressure cooker has a delay function, they can be prepared the night before, placed inside the pot and set to start an hour before you will be ready to eat. Talk about being efficient! Please feel free to leave a comment if you have any questions, concerns or just to tell me how it worked out for you. Thanks! I’ve been on the edge of my seat and burning the midnight oil to get this post to you. I am that excited about it! First, let me ask you a question. Have you ever tried steel cut oats? Do you understand what they are? If I understand correctly, they are basically oats that haven’t been rolled and pressed yet and turned into rolled or instant oats. Which means, they make your body work harder to digest, are less processed, very filling and so so good for you. So why do we always eat oatmeal from pressed oats? From my previous experience, it’s because steel cut oats are a pain to cook. Until now, my friends. Until now. The first time I tried to boil steel cut oats, it took 40 minutes. When my husband crunched into the oats that just haaaad to be done by now, they were nice and crunchy still. That was the last time I made steel cut oats. So what changed? It was solely my decision to finally take my older and wiser sister’s advice and cook them in the electric pressure cooker. 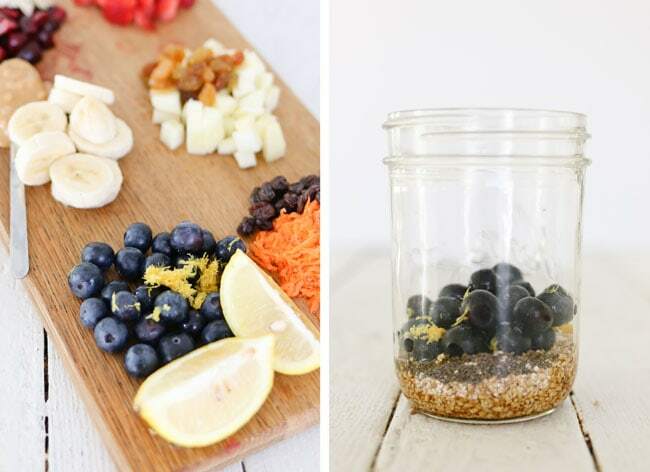 Now, all you do is throw some oats in a jar, add your favorite mix-ins, add water, set in pressure cooker, push the magic button, hop in the shower, apply your make-up, do your hair, and voila! Chewy, fully cooked, to-die-for steel cut oats are waiting and ready for you! (Okay, if I’m being honest, the oats are done long before I’ve finished making myself presentable. I could use a magic button for that task – can I get an amen sista!). 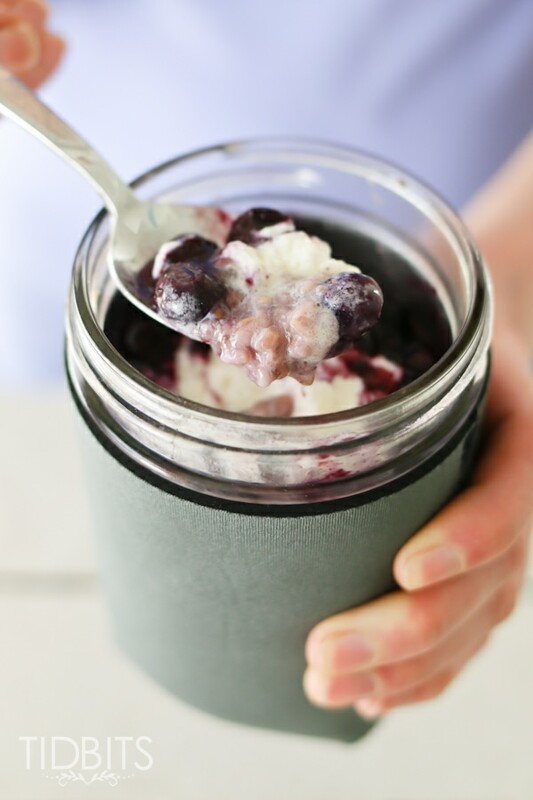 Then you throw on a frozen whipped cream dollop, some garnish, and put your mason jar in a nice Mason Jar Jacket, and you are on your way to a breakfast of champions. My sister Marci, is actually the pressure cooking genius behind this proven method of cooking steel cut oats. She and I had a little play date of making oats, taking pictures and cooking up our favorite varieties to share with you. 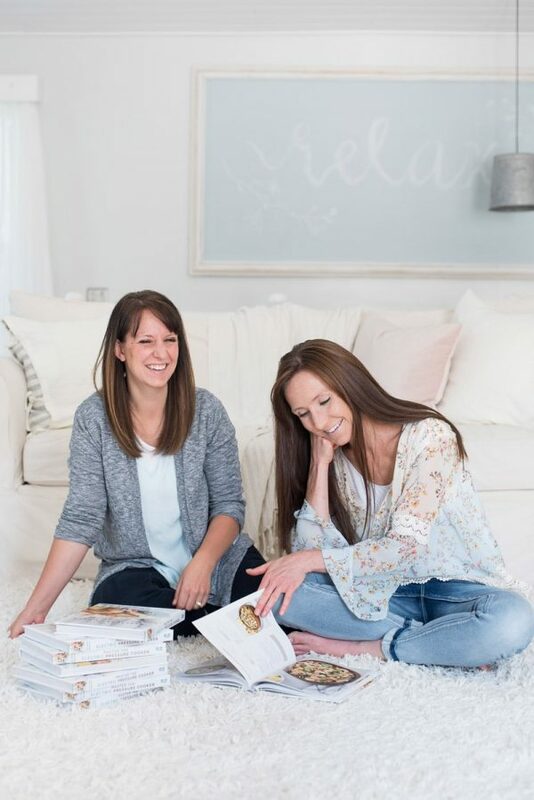 We want to show you step-by-step how we did this so you too can be successful at making the “best breakfast your family has ever eaten”. 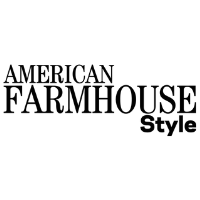 We’ll also share the recipes and tips along the way. 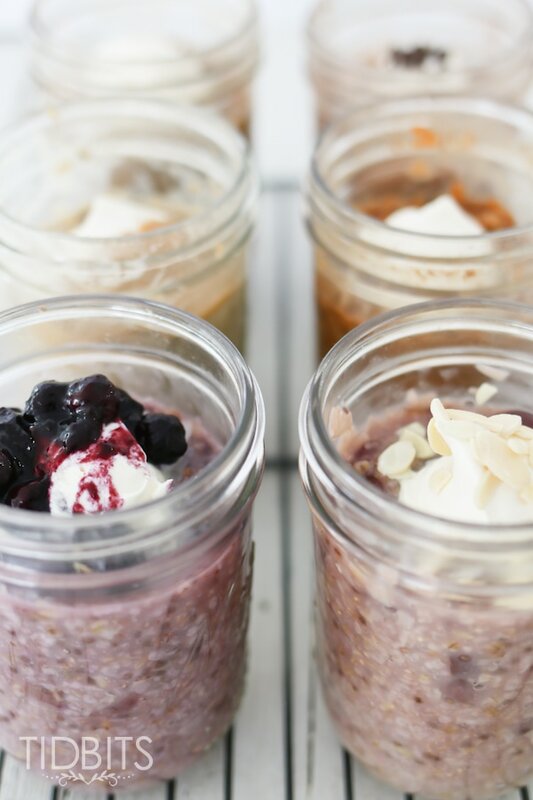 Marci makes these oats for her dirt biker, adrenaline junkie husband, and he has more than enough energy to see him through his shenanigans throughout the day, without a sugar crash from other highly sweetened breakfasts. His favorite is the Carrot Cake Oats. Marci keeps her recipes pretty much zero sugar, and uses honey or real maple syrup to add all the sweetness it needs. I was skeptical about this no sugar in oatmeal concept, until she brought me some Apple Cinnamon Oats to try, and my 2 pickiest eaters gobbled it up in seconds. 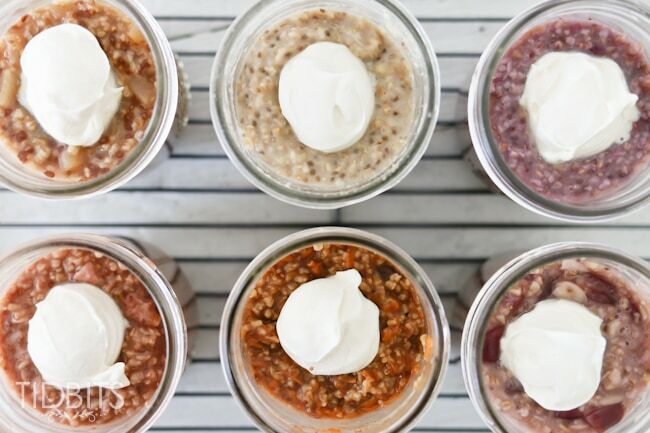 Marci came up with this method of cooking steel cut oats after noting the popularity of the overnight oats method, where you place regular rolled oats in a jar with moisture and they are softened by morning. 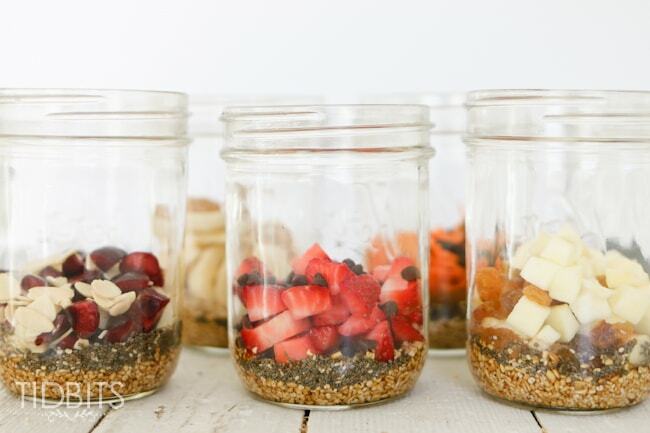 While this is still a great idea, if you feel like upping your breakfast game and trying steel cut oats in a mason jar – please give this a try! While Marci and I go through this process, we’ll talk about “The Base Recipe”. This is what you’ll pretty much put into every jar or serving of Mason Jar Steel Cut Oats. Then we’ll address “The Extra’s”, which is what you can add, mix or match to make 6 different varieties. Feel free to experiment with “The Extra’s” to come up with your own family favorites. There will be a printable recipe at the bottom of this post, for your convenience. *Please also note, one 6 Quart Pressure Cooker will typically fit 3 Pint size jars. We are using 1 jar for an adult size serving or you can split it to serve 2 kids. 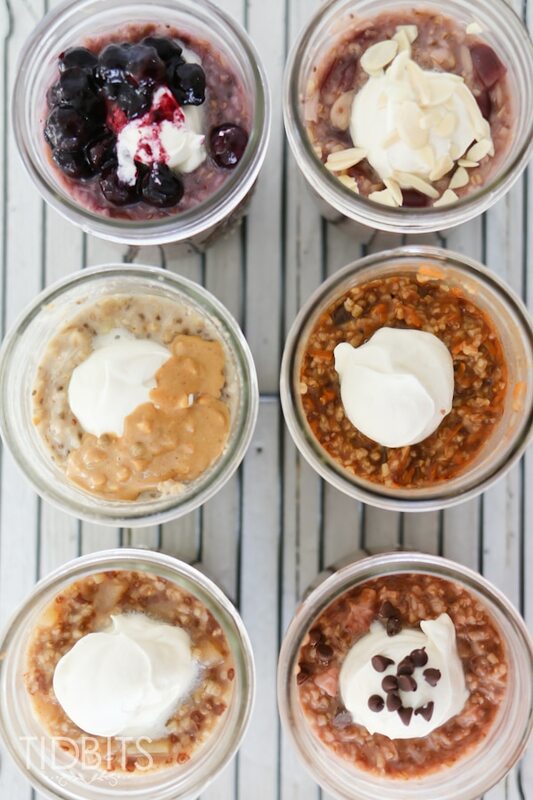 First you add 1/4 Cup of Steel Cut Oats to each pint size jar. Add 2 Tablespoons of pure maple syrup or honey to each jar. As well as 1-2 teaspoons of Chia Seeds and a pinch of salt, and any other spices that might go well with your extras. You can certainly leave the Chia Seeds out but we love the extra nutrition and that yummy pop in your mouth when you eat them. Then you are going to throw in your extras. Optional: While the oatmeal is cooking, place 1 cup of frozen blueberries in a saucepan. Add 2 Tablespoons of water and sprinkle with ½ teaspoon of cornstarch. Stir to combine. Bring to a boil and simmer until thickened and syrup like. When oatmeal is done, stir and then swirl in a scoop of the blueberry syrup. Yum! 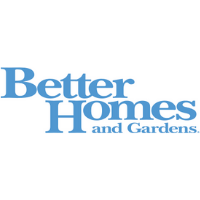 Next, you will pour in hot or room temperature tap water, leaving 1 1/2 inches of headspace. Screw the lids on tightly and give your jar a very thorough shake. 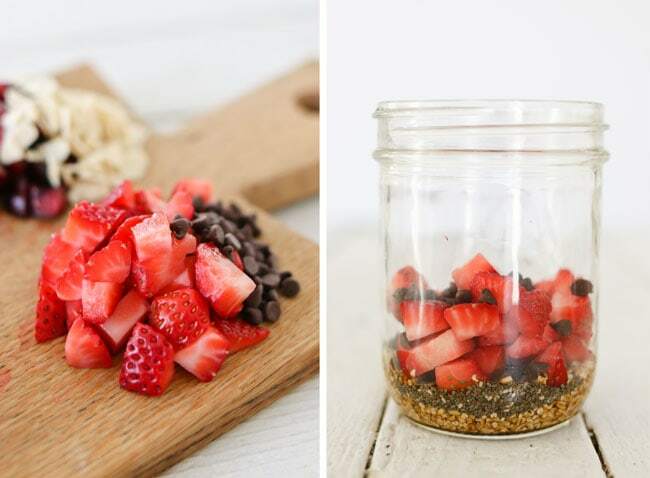 The chia seeds can be hard to break up so shake until those look evenly distributed. Unscrew the lids and again tighten just until resistance is met. 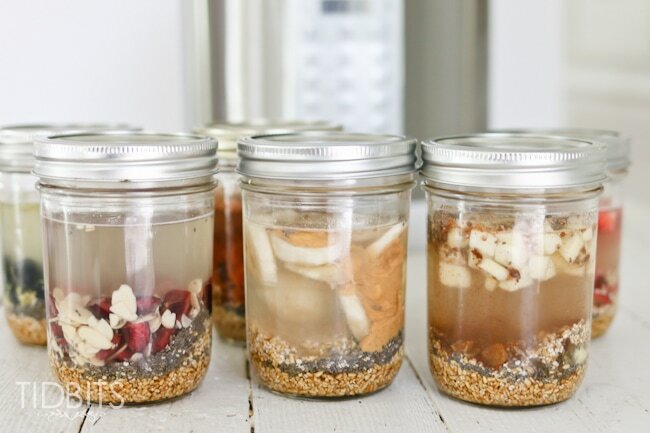 Note: to prepare the night before, place oats, sweetener, salt and chia seeds in a jar and leave at room temperature. In the morning simply add the extras and water. 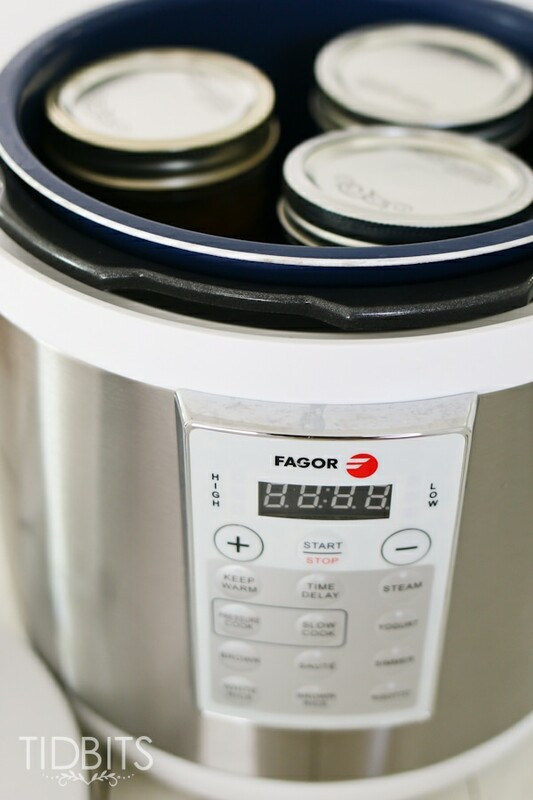 Place a short rack on the bottom of the pressure cooker and pour 1 cup of water inside and place 3 pint size jars inside the pressure cooker. If the rack is too tall, the jars will not fit inside with the pressure cooker lid on, but you certainly do not want to place the jars directly on the pot. We are using our White Fagor Lux model, which we love. But any pressure cooker model will do. We kind of have a love affair with a lot of them actually. 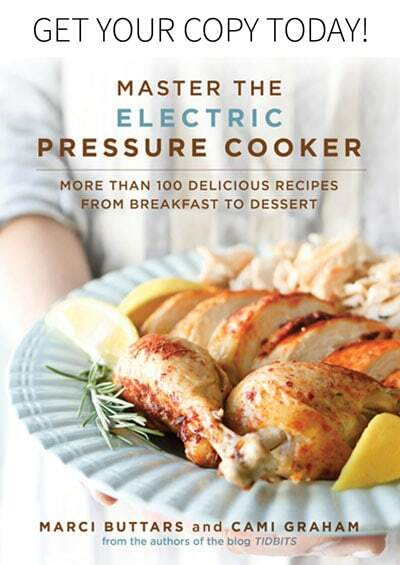 Now you will secure the lid on your pressure cooker, select a high pressure and set the timer for 20 minutes. This means, once it comes up to pressure, it will begin the 20 minutes of cooking. When the beep sounds, turn off the pressure cooker and let pressure release naturally for 10 minutes, then release any remaining pressure. Can also use a full natural release if you’re not in a hurry. When the valve drops, remove the lid. 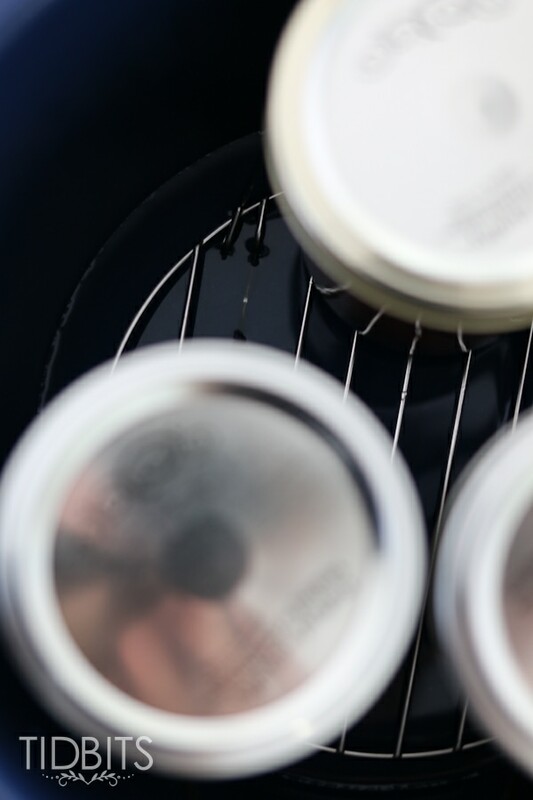 Remove the jars from the pot and place on a cooling rack or hot pad. Warning: The jars will be very hot! 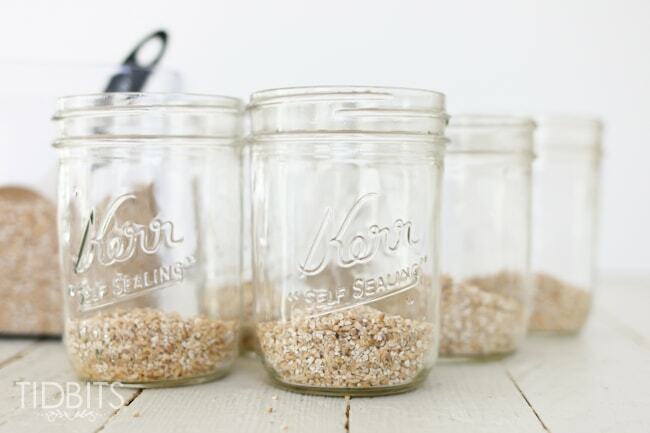 If the jars contents are in motion (boiling), allow the oats to cool for another 10-20 minutes before removing the lid. Once the oats have settled, I either wrap a towel around the jar to open it or use two silicone hot pads to safely unscrew the lid. Then you can give the oats a good stir and top with a Frozen Whipped Cream Dollop (or simply pour in milk or cream – but the dollop is just heavenly). 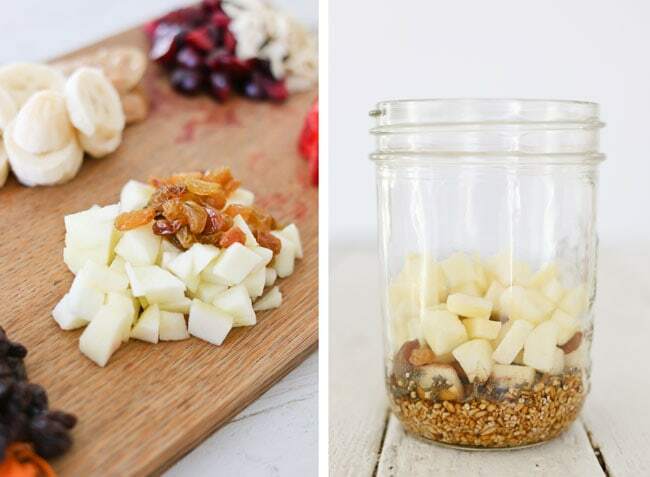 Then you can choose to garnish with extra toppings if you like. And that is all there is to it! It might seem like a lot at first, but once you have it down it just might become your go-to breakfast. We would very much appreciate it if you would pin and share this recipe with your friends! Feel free to print the recipe to have on hand and have fun with the mix-ins! 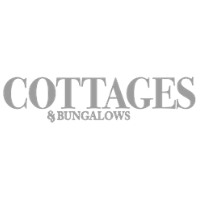 We’d love to hear what you think and if you want to give it a try! Oats can be prepared first thing in the morning or to make breakfast completely stress free, prepare them the night before! 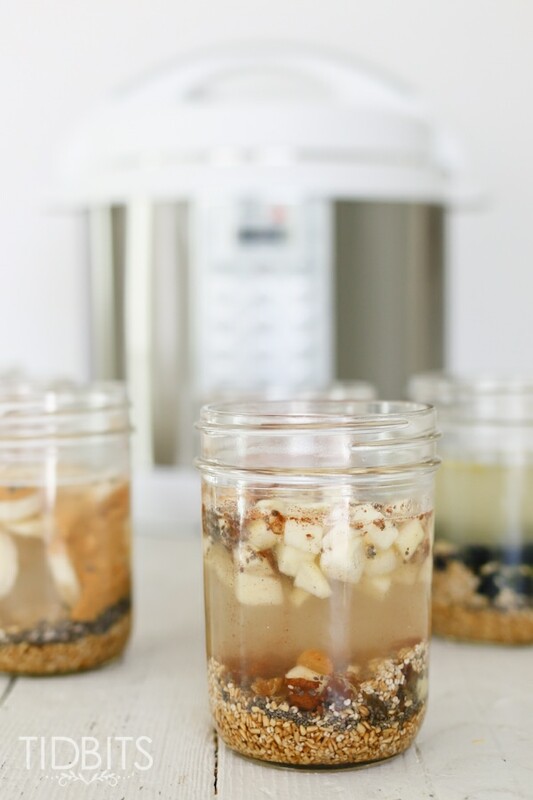 Just fill jar with oats, sweetener, chia seeds, salt and water, place inside prepared pot and set timer to start cooking oats an hour before you plan on eating them. 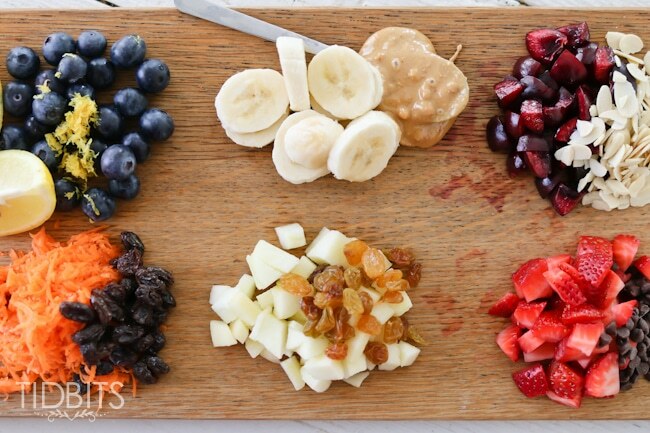 Add toppings and just like that, a true breakfast of champions! 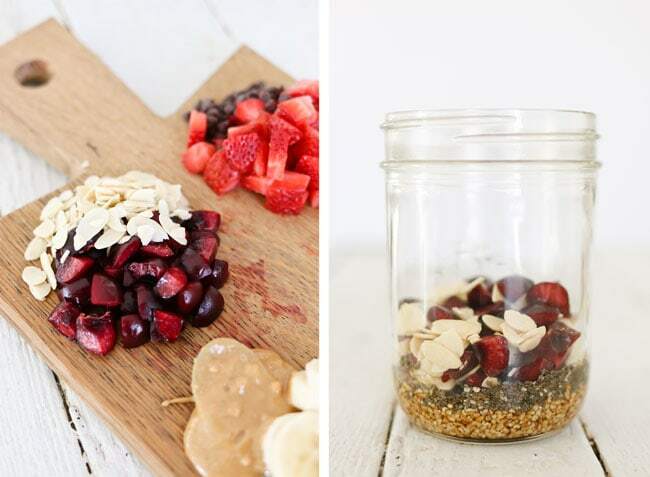 Add oats, syrup, chia seeds, salt and the extras into a pint size mason jar. Add water, leaving 1½ inches of headspace. 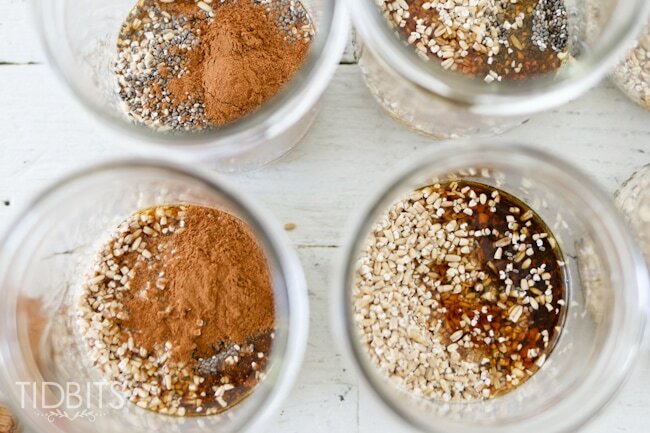 Shake until everything is well distributed and the chia seeds aren’t clumping together. Unscrew the lid and again tighten just until the lid meets resistance. Place a short rack in the bottom of the pot. Pour 1 cup of water into the pressure cooking pot. Select high pressure and set the timer for 20 minutes. When the beep sounds, turn off the pressure cooker. Use a natural release for 10 minutes and then release any remaining pressure (can also allow a full natural release). When the valve drops, remove the lid. Give the oats a good stir and top with a dollop of frozen whipped cream and garnish. Thanks so much Cecilia! These new electric pressure cookers really pack a punch and we are continually amazed at how much easier they make cooking. You are always a sweetheart! Ooh! 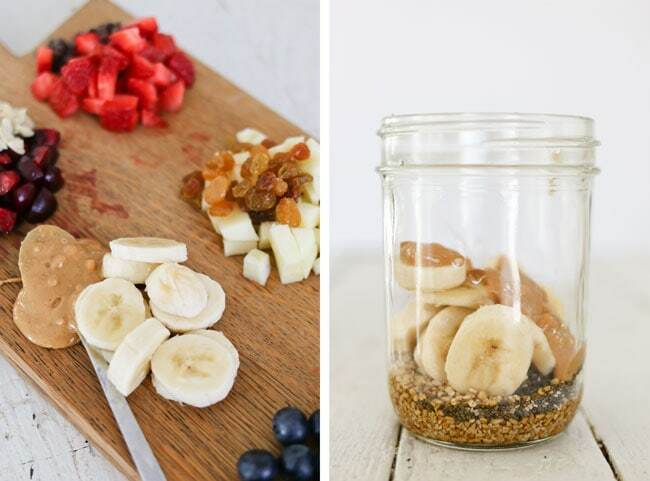 I am going to try this with the jars! Since you pushed me over the EPC cliff I have been using my EPC almost every day. I love how very creamy oatmeal turns out in it! I always throw in fresh fruit along with the oatmeal, making it seem like cobbler for breakfast! I always feel bad to think I made someone spend money, but seriously! The EPC’s are so amazing! I’m glad you are using it and falling in love with them as much as we are. This is a dumb question but I don’t know how to pressure cook—–YET! Since these are eaten right away, can the lids be re-used? I know the rings and jars can be re-used and if the lids can be re-used for this, they shouldn’t be used for storage long term. Thanks to you and your lovely sister for this tutorial. Hope to see more PC cooking recipes and tutorials soon! Not a dumb question at all! 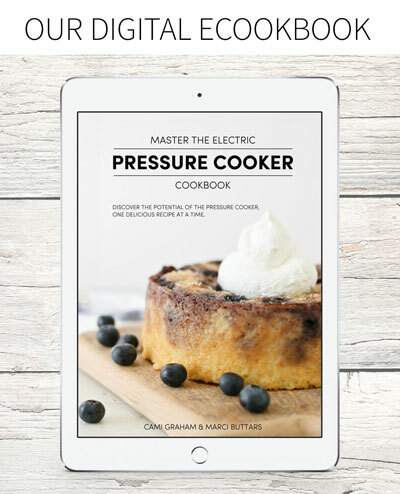 What is maybe a bit confusing is thinking of an electric pressure cooker like the big pressure cookers that are used for canning. It’s really not the same, though I think you can use it to seal jars and canning. We haven’t dipped our toes into that yet. 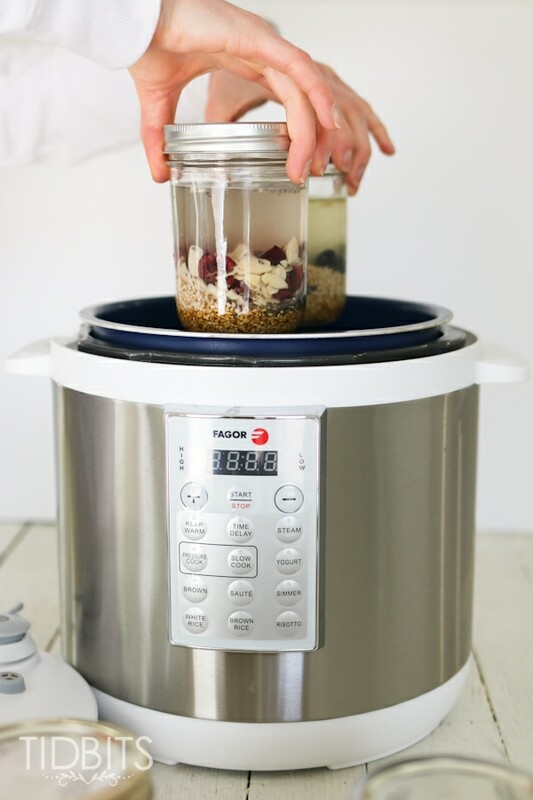 These fairly new machines can work like a crock pot with slow cooking and be sealed and work like pressure cooking, similar to stovetop pressure cookers. It just cooks foods so much faster and easier with the push of a button and setting time. I would NOT recommend using the lids again if you are trying to seal foods. Once the seal has been heated that much it cannot safely be used again to seal. 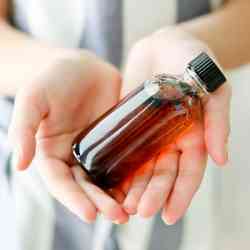 Though you could use them again for your oatmeal jars because sealing is not what we are doing. Just cooking and eating. I hope that helped at all! And yes – so much more to come! 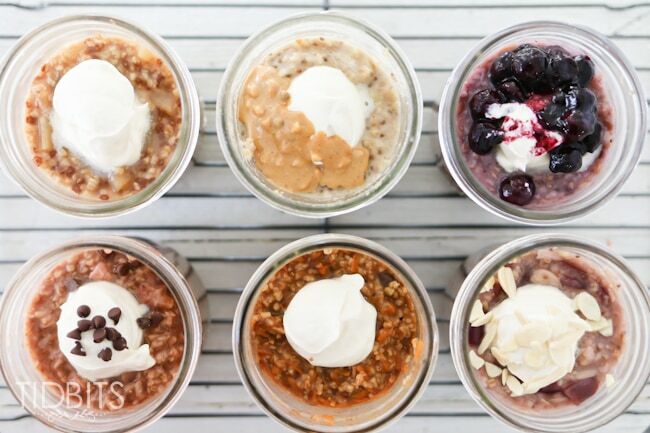 These steel cut oats recipes look delicious. Can’t wait to give them a try. My pressure cooker is an old one that heats on a stove top. Once it comes up to pressure on high heat, I reduce the heat to medium, set the timer, then run under cold water to cool down & reduce the pressure. Do you think I can use my pressure cooker for these? I had to look up who Dave Barry was and after laughing until I cried while reading his “How To Argue Effectively” article, I have to say, I’m gonna take your comment as a compliment! And yes, 1 Mason jar is equal to one serving. My husband and I will eat a whole one, and my 3 young kids eat about half. Enjoy! Grains need to be soaked for optimum nutrition. Starting a batch of these the morning you eat your last jar and then cooking them the next morning would help with GI issues some get from grains and deactivate antinutrients the plant has to protect iself from animals. Put oats & 1T barley or wheat flakes (rolled) w ith a small spoon of yogurt or 1/2 tsp whey in jar, stir to coat grains. Add the water and stir well, put lid on but not ring. Let soak at room temp, on counter or in pantry. Do not soak with chia. Next morning, add rest of ingredients and cook for only 7min. Check to see if needs more time as soaking greatly reduces cooking time. Forgot to say, crack an egg into each jar before stirring in rest. Need to get some protein with all those carbs! It makes it a little custard-y is all. One question also; are these jars able to be soaked, spray rinsed and then come clean in a dishwasher? Or will I have to scrub them by hand to get the oatmeal gunk off? Thanks! Nope, they’re not bad at all. I do a quick rinse and throw it in the dishwasher. I’ve considered putting an egg in it before. I’ll have to try that now! How long would you cook if using Quick Cook Steel Cut Oats? Jill, I’ve never tried it myself, but I’ve seen recipes for it and it’s 3 minutes. Let me know how it turns out! That’s a good idea. Judy! Love the new combo ideas! I will be trying the cherry/almond butter tomorrow! Karen, Absolutely! I usually make 6 jars in one morning and then store the uneaten ones in the fridge. Then I just scoop it out and reheat it in the microwave. You could also throw it back in the pressure cooker for 5-10 minutes to heat it through. For my younger kids I was thinking of using half-pint jars instead. Would that work? What would be the proportions? 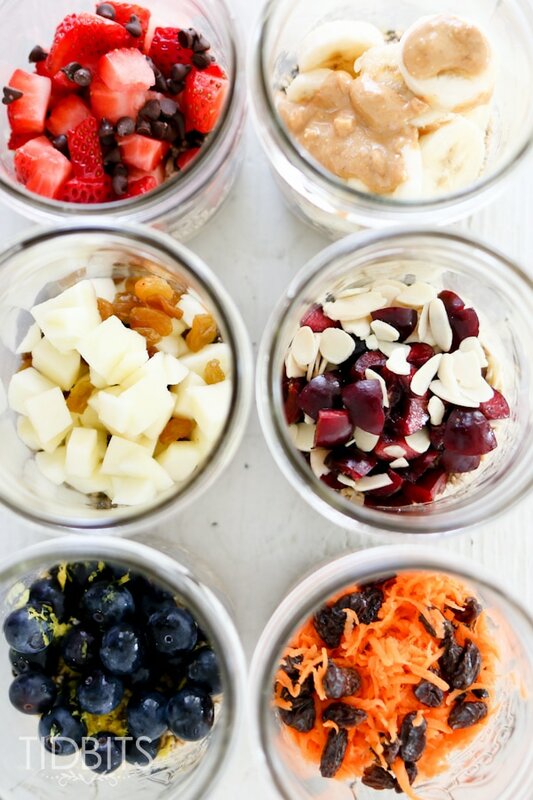 With my kids, I still do them in the pint size jars and just divide the jars between them. 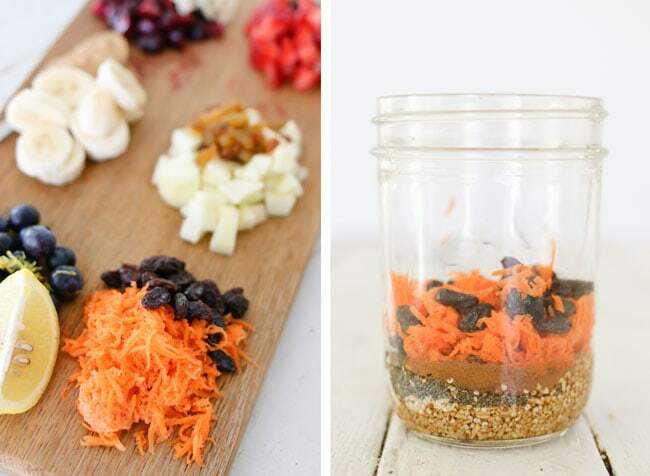 You could try cutting the recipe in half and putting it in half pint jars. I believe it would work fine, but I’ve never tried it myself. 2 T steel cut oats, 3 Oz hot water and 1 T honey and 2 T mix in flavors. i used 1 tsp ground flax instead of the chia seeds. the carrot cakes ones were amazing. i still cooked it for 20 minutes. These look amazing! I do have a question though. There are 6 of us so we would need to cook more than 3 jars. Could this recipe work in just the pressure cooker minus the jars? Brittany, That is kind of weird, my oats usually soak it up. Did you use the chia seeds? They weren’t the instant steel cut oats were they? Great improvising though! When I make them next time, I think I may soak the oats overnight and see if that helps with absorption. 🙂 Thanks for the quick response and great recipe! It’s been bitterly cold here this week, and I’ve been setting up steel cut oats in mason jars the night before for days. I love your flavor combos, very creative! Question: why do you use the lids? I’ve been cooking in the open jars…so far so good. 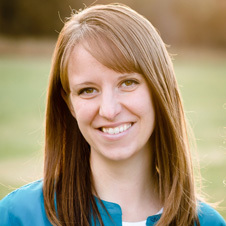 Jen, I had a few times when they over flowed and after topping them, I’ve never had the problem since. It likely is totally fine to leave the lids off, I just don’t ever want to deal with the mess again! I’ve been making a pumpkin butter banana version lately that is dreamy! Give that a go soon! I am really enjoying your page. I found it from pinterest. I was trying to see how I could use Steel Cut Oats, if possible in the jars. My question is, can this be done in a regular style stove top pressure cooker with the jars? Or would you say no? I followed the recipe but forgot the salt. My oats turned out very watery. Do you think this is because of the missing salt? Have you ever had this happen? The salt shouldn’t have made difference on that. Did you use the chia seeds? Where they quick steel cut oats by chance? What kind of fruit did you use? They are not quick cook steal oats but I did not use any chia seeds because I didn’t have any. Do they have to soak overnight before cooking? Liz, Chia seeds absorb a lot of liquid, so if you’re not adding any, I would either decrease the water or throw in some extra oats. Or just go buy some chia seeds because they’re amazingly wonderful for you 😉 And no, they don’t need to soak over night. I’ve done it both ways with similar results. These sound amazing. I have a family of 5 so cooking 3 jars at a time won’t really work. Are there smaller jars that will work or any suggestions? 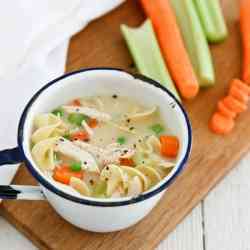 Tara, I use this recipe mostly for when I’m sending my husband out the door, or if it’s just my kids I’m feeding. 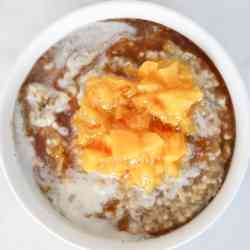 If all 5 of us are sitting down to eat breakfast I go with this recipe https://www.tidbits-cami.com/2016/07/peaches-cream-steel-cut-oats-cinnamon-maple-drizzle.html. I’ve made a 100 different versions of it and just switched up the fruit and sweetener to whatever I have on hand. Enjoy! It’s the best breakfast ever! I made a batch of 3 lemon blueberrys for this morning. I didn’t use Chia seeds, so I measured the water at 3/4 cup (3:1 ratio of water:oats). They were a little too thin for my family’s preferences. The lemon quantities seemed too high in your recipe. So I cut the lemon in half per jar (zest and juice of 1/2 lemon for each jar). Still, all we tasted was lemon. I’ll definitely try this variation again, but tweak the water and lemon even more. I’ll be making cherry almond and strawberry chocolate this weekend! Thanks so much for sharing! 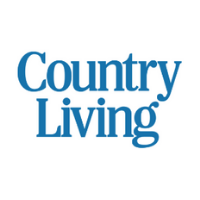 Courtney, Thanks for your feedback! Let me know if you find a good ratio of water and oats without the chia seeds. I always make them with the chia seeds, but I’m sure there’s others who would like to know how to do it without them. I love the punch of lemon but it’s also delicious with just the blueberries! Have a great weekend! I tried to find if anyone else had some oats that were not quite soft, but maybe missed it. I just made these oats as the first thing I made in my IP. Most of the oats are soft, but some are still a little hard…is this normal? How can I remedy that? Carol, It helps to give them a good shake right before they go into the pressure cooker, but you could also add an extra 5 minutes and that should take care of it. When you do them the night before and use the delay start do you still put all the toppings in and let everything sit all night long? Katrina, If I’m letting them sit overnight, I don’t put anything perishable in them. Instead, I just add fresh fruit to my oatmeal right before I eat it. Made the carrot cake jars last night for the first time in my IP. I have a few questions. After cooking I allowed NR and moved the jars to a cooling rack. 20 minutes later the oats were still boiling. I took them outside in the 30 degree weather to cool. Still boiling after 10 minutes. I had to open the jars and then put them in the fridge. This morning I almost could not remove the lid, thankfully I got one open using the leverage from a manual can opener. I liked not having to constantly stir the oats or worry about boiling over. Any suggestions for next time? I’ve had them boil before but not that long! My goodness. Try putting the lid on much looser next time. Did you use just water or did you add milk by chance? I used water and stopped tightening the rings in the jars as soon as I felt resistance (I also went back and tested that they were barely tightened before placing them on the IP rack). I am not sure what happened, it seems like the pressure stayed in the jars and kept them boiling until the lids were removed. Then they were placed back on which may be the reason for the extra suction this morning. That makes sense that they would have suctioned back on if the oats were still warm. I wonder if the tops were a bit sticky too. It doesn’t sound like you did anything wrong. Next time, keep the lids even looser and we’ll see how it goes. Thanks for letting me know! THANK YOU, THANK YOU, THANK YOU FOR THIS!!! 🙂 This is by far, the most made recipe in my pressure cooker and it has been such a wonderful thing to happen to our mornings! My husband and kids LOVE your apples and cinnamon version and my husband actually said that these are the best he has ever had! I love that this recipe comes out PERFECT every time and have shared your link so many times on the IP Facebook page. I can’t thank you enough for coming up with and sharing this! Has made my life so much easier! Thanks so much again! So many exclamation points, and I love it! Thanks so much for letting me know what you thought, it totally made my day! If you like quick on the go breakfasts, I’m working on a gem for you at the moment, it’s gonna be good! And I 100% agree on the apple version, it’s my favorite. And also, thanks for sharing it with others. I have noticed that you’ve posted it before and that means so much to me! 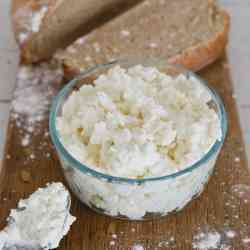 I just made 3 jars of this recipe and it is delicious! Two of my jars leaked strawberry-chocolatey goodness during the cooking process, though. Does this mean I put too many fillings in? Or too much water? Or the lid was on too tight? Please let me know what you think – this is my new favorite breakfast! Matt, If you tighten the lid more, that likely won’t happen, but since there’s been a couple people say their jar broke, I’m hesitant to tell people to do that (even though I do it myself!). I would try adding a little less water. Some fruit foams more than others so that could be a culprit as well. You could try adding less fruit and then adding extra uncooked fruit on top after it’s done cooking. Isn’t it wonderful! We love that breakfast around here! Matt, that happened to me today as well. I made 2 jars with PB and banana that were fine but then switch strawberries and chocolate leaked. I hope these will be easier to open. Kit, Are you talking about the flats? I’ve never had any flats ruined even when they do seal on tight. I just break the seal with knife like I do when opening a jar of peaches. Yes, the flats get sealed shut. I tried a knife and could not get enough leverage. The only thing that seems to work is the part of a can opener that pulls up on the lid, and also bend the corner of the flat lids. The strawberry jar that leaked did not have a tight seal so that one came right off. Haha! I got it. Thanks a bunch! I love this idea!! 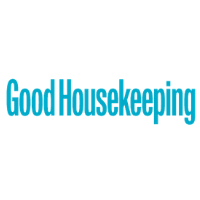 I’m wondering if when using the delay cook function and preparing the night before, is it ok to leave the chia and add-ins soaking overnight? Do cut up apples or bananas do ok soaking overnight at room temp and then cooking in the morning? Is the chia ok? Has anyone ever tried not using the lid and screw cap on the mason jars? I own several of the “reusable” white lids for the mason jars…that you put on after you open your canned goods to store in the fridge. I was wondering if I could use these instead. Great recipe thanks. Only change was I add the fruit after cooking the oats. I found that after cooking the berries turn into more much then I like. The 20 min time worked great. Making my first batch of these now! Have 2 of the carrot cake and 2 of the blueberry cooking. Hoping they taste as good as they sound. I won’t be eating them right away so I hope it’s ok to just refrigerate them and eat them over the next few days? Ok not sure what I could have done wrong, but mine have no flavor! And the blueberry ones are like soup. Any suggestions? I followed all the directions and all are way runnier than I would ever want my oatmeal to be. I’m so bummed! I’ve been making apple cinnamon steel cut oats in my IP and they have tasted pretty good. I thought it would be great to try these in the different flavors. I even had to go buy jars tonight to make them. Not sure what else I could do to make them have some flavor.